Vitamin A is very important for many things. However, we can take too much vitamin A and in large doses it can be toxic if taken over a period of time. 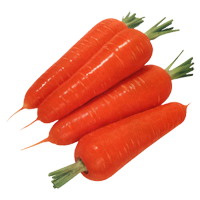 Beta Carotene on the other hand is a pre-form of Vitamin A and is not toxic. The only known side effect is a yellowish or orange tinged skin color and is not dangerous to your health. Most of us have seen this in action with babies when they eat a lot of the orange and yellow fruits and veggies as baby food. Beta Carotene is just one part of a group of compounds known as Carotenoids. It can be found in fruits and vegetables and is called a provitamin A carotenoid. 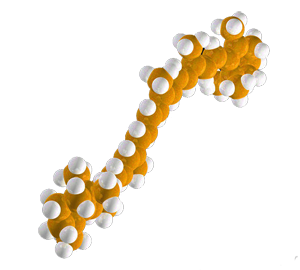 It is a safe form of vitamin A that your body can make into retinol. Beta-carotene is actually just one of over 500 carotenoids that can be found in foods. But it is the one most efficiently converted into retinol for use by our body. Alpha-carotene and beta-cryptozanthin are also used but they are much less efficient. While most of the carotenoids are not used by the body for Vitamin A or retinol, they can still be very important. Studies have shown they can function as antioxidants and perform other health promoting activities. And if there is one thing I have learned about your body, It needs everything and needs them in a balance. You cannot tear apart what mother nature created or synthesize it in a lab and expect it to work. It is the natural balance and mixture of these vitamins and minerals and carotenoids that makes it all work. Vitamin A is critical for many important functions in your body including your vision, your skins health and your immune system. Beta-Carotene is a great way and a safe way to get the Vitamin A you need and to do it safely. Vitamin A is not water soluble so it is harder for you body to get rid of it if you have too much. Beta Carotene is safe because your body only converts it into retinols and vitamin A if you are low. If you have enough then your body just doesn't convert it over and gets rid of the extra. Be sure to look for a natural form of Beta carotene that is as close to what nature created as possible. In fact, taking it in a food source supplement that is combined with the other carotenoids would be the ideal vitamin A / beta carotene supplement. Beta Carotene or really Vitamin A is a must for healthy mucous membranes and is also known to be an immune system stabilizer. As such, it is very good for people with allergies, or other immune system problems. It is also great for vision and skin problems as well as healthy growth and development for cells and your whole body. If you are looking for foods high in beta carotene just look for orange. Carrots (see the tie in with carot-enoid), sweet potatoes and pumpkins are all great sources. A few of the green veggies like spinach, collards are also a good source. If you are looking to supplement your diet, most of the content for your supplements will come from bet-carotene since it will not build up and become toxic to your body. A good supplement that will really help should contain a natural balance of all the carotenoids including beta-carotene. Getting a food source supplement is so much better than even a naturally extracted vitamin and synthetics should be avoided at all costs. They can actually be worse than no supplement. It has been shown that a deficiency of zinc can actually affect Vitamin A and betacarotene absorption, transport and metabolism. Beta carotene - a safe and effective way to get the Vitamin A you need for improved vision, skin and immune health. Introducing a rare blend of alpha-carotene, astaxanthin, beta-carotene, lutein, lycopene, and zeaxanthin delivering of a broad spectrum of carotenoids in one supplement.